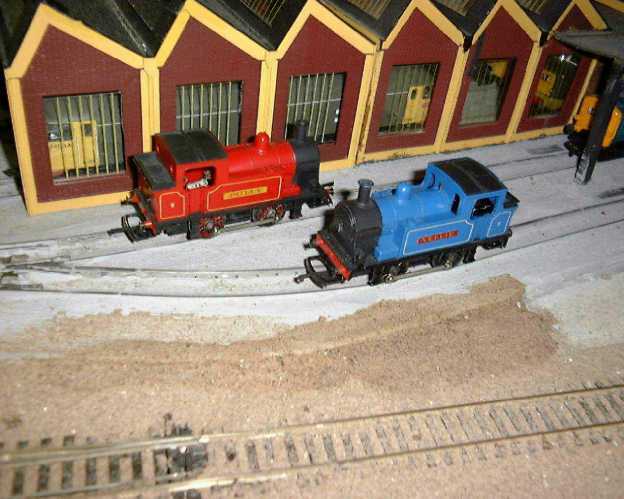 'Albert Hall' and 'Lord Westwood';..in red with the factory phone number on the tender. Why wasn't she called 'Westwood Hall'? Humble 'Polly' and 'Nellie' had a sister, 'Connie'. 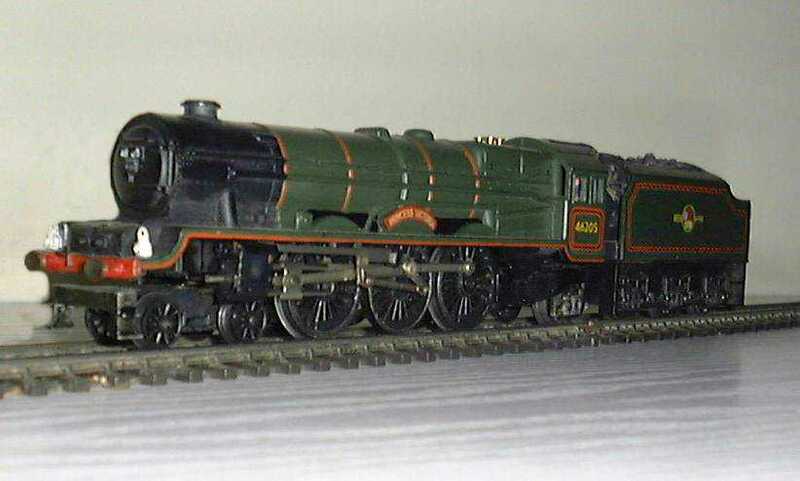 The R.50 'Princess' in a late form. This was the locomotive that became the foundation for the Tri-ang Railways system. She was made in England, Australia and New Zealand and totals at least 779,655. 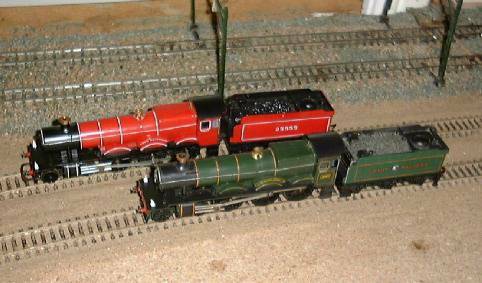 The green R.53 'Princess Elizabeth' in this photo was made in Tri-ang Hornby days. 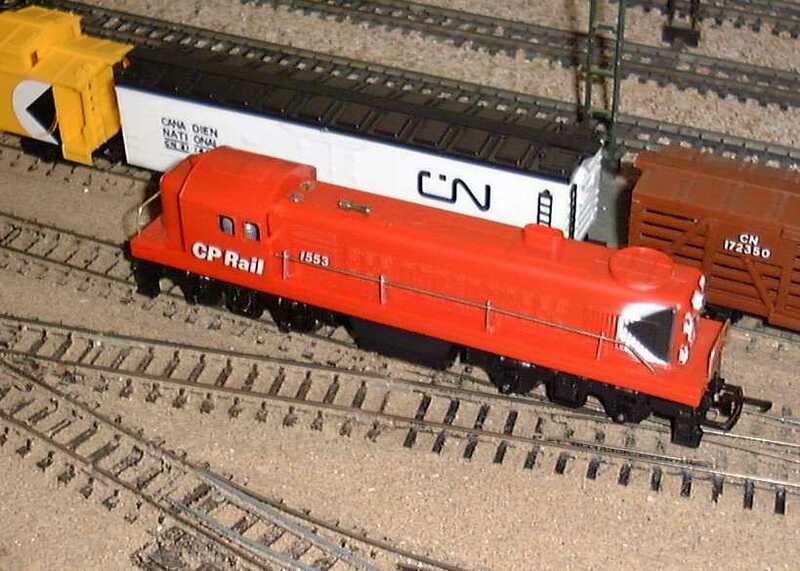 This example was made from a CKD kit and is the sweetest running engine you could ever want, despite an age of 30 years! 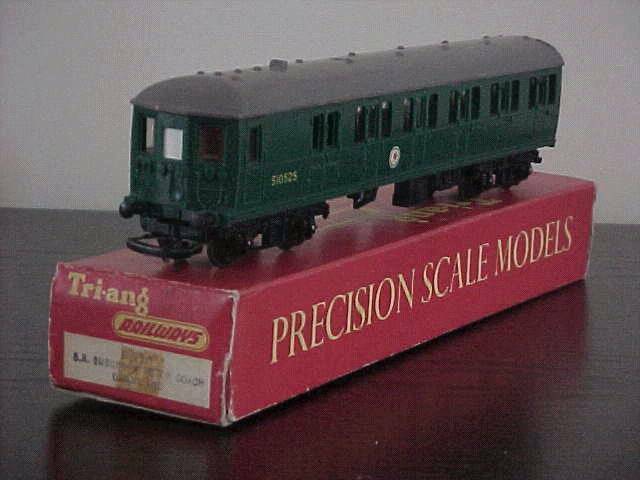 The Tri-ang Princess was voted 'Locomotive of the century' by the Train Collectors Society. A worthy recognition that this was a milestone product. A rare find. 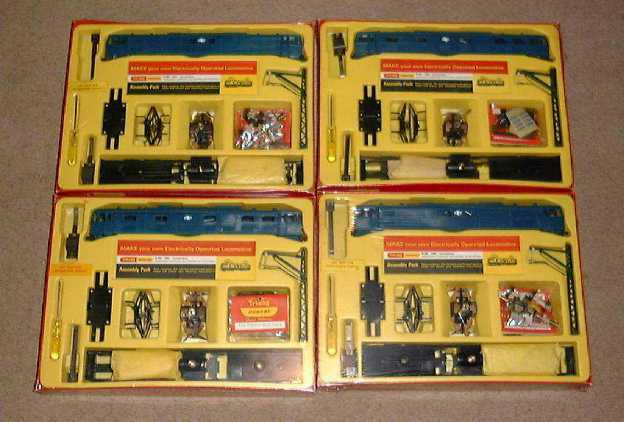 Four unmade EM2 CKD Kits turned up in December 99 at auction. The lucky purchaser searched high and low and suddenly, he had four! He received them at X.mas. Thanks Santa! 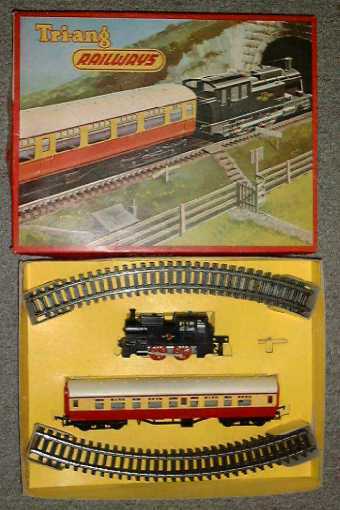 The starter sets, although many were made, rarely turn up in good condition. Early Origins. 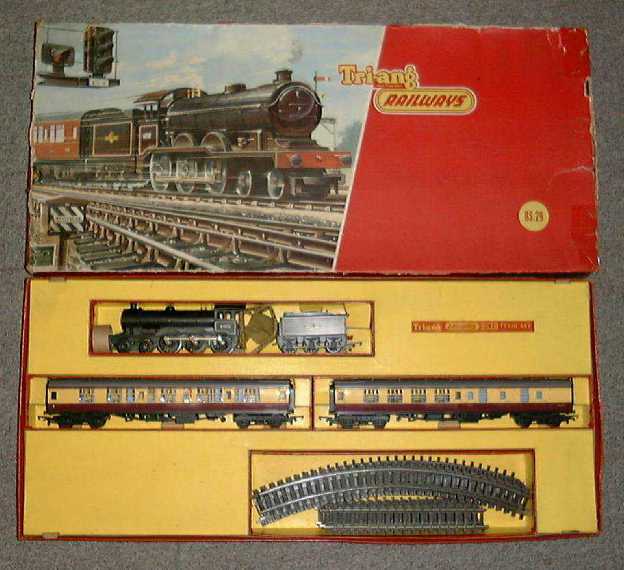 Now more than 50 years old, this is an early Rovex set as made for Marks and Spencer. 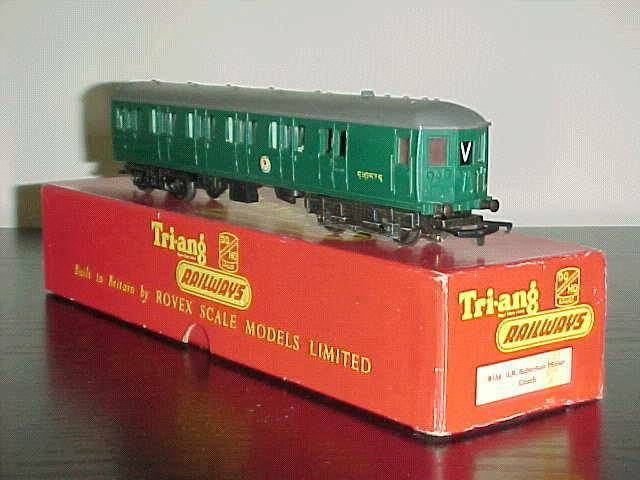 Lines Bros Ltd, saw the potential of this plastic train system and bought Rovex. 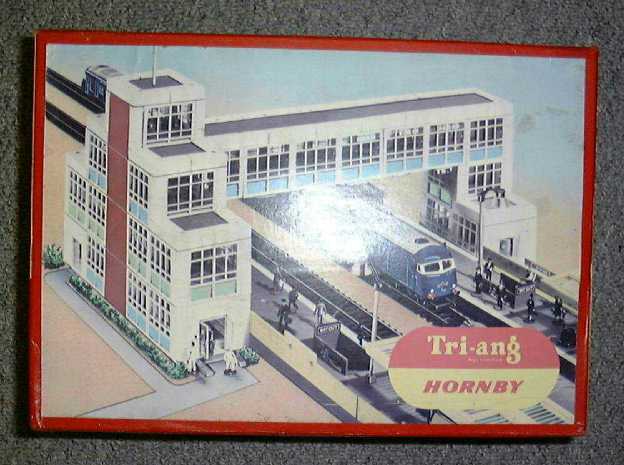 Their financial backing saw an incredible and imaginative development at the Richmond and later Margate factories and Tri-ang Railways dominated the competition out of the UK marketplace. The Arkitex range as a commercial product was too complex for children. These sets are fun now that we are grown up.